The Cover Contessa along with the Never Too Old for Y.A. 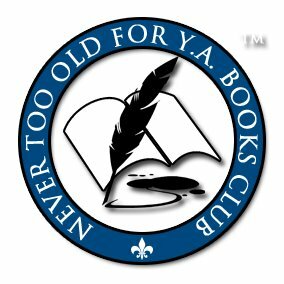 Books group on Goodreads want to welcome author Bella Forrest today! On the evening of Sofia Claremont's seventeenth birthday, she is sucked into a nightmare from which she cannot wake. A quiet evening walk along a beach brings her face to face with a dangerous pale creature that craves much more than her blood. She is kidnapped to an island where the sun is eternally forbidden to shine. An island uncharted by any map and ruled by the most powerful vampire coven on the planet. She wakes here as a slave, a captive in chains. Sofia's life takes a thrilling and terrifying turn when she is the one selected out of hundreds of girls to join the harem of Derek Novak, the dark royal Prince. Despite his addiction to power and obsessive thirst for her blood, Sofia soon realizes that the safest place on the island is within his quarters, and she must do all within her power to win him over if she is to survive even one more night. Will she succeed? ...or is she destined to the same fate that all other girls have met at the hands of the Novaks? Having been delighted by the Christmas best-selling debut, A Shade Of Vampire, readers are begging for more. In A Shade Of Blood, Bella Forrest transports you deeper into a unique, enthralling and beautifully sensitive story. So let's hear what Bella had to say to our questions, shall we? I’ve always wanted to write. I was probably 5 when I started creating short illustrated books with my multi-colored wax crayons. Creative writing was my favorite subject when studying and I preferred writing to watching TV any day. That’s a tough question because there’s more to this process than just physically sitting down to type. Also, for me, each book is different. The story for A Shade of Vampire (http://www.amazon.com/A-Shade-Of-Vampire-ebook/dp/B00AOHDMFE ) was actually brewing and developing in my mind for several years before I typed it all out. But *once* I sat down with my laptop, it took about a month I think. 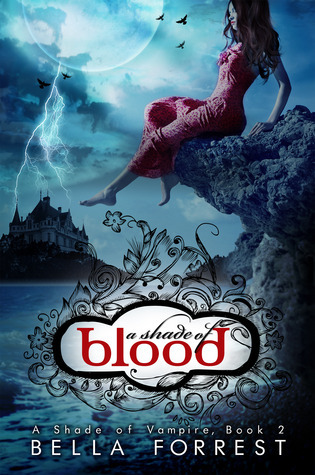 The sequel to A Shade Of Vampire which was released on April 8th (2013) - A Shade Of Blood ( http://www.amazon.com/Shade-Of-Vampire-Blood-ebook/dp/B00C8324IS ) – took about 2-3 months since it’s a longer book. A great story is one that plays on my emotions and swirls around in my mind long after I have turned the last page. I can read it over and over again without getting bored. It’s one that has such an impact, I dream about it and wish I could stay in that world forever. The early hours of the morning are my favorite for writing. So I get out of bed at like 1.30am and work through until 9am. The biggest chunks of my writing get done during this period. Then I have a nap, and write some more during the day. I’m typically in bed by 9pm. Yeah … I’m weird. I don’t really! Which is bad, I know. I’m terrible at multi-tasking. I don’t have kids but the rest of my family and friends get almost entirely neglected when I am on a writing marathon. Almost all ideas just pop out of my head. I’m blessed with a hyperactive imagination and most of the time, I don’t even know where my ideas originated from. I was surprised by the extent to which I became absorbed in my story. Often, eight hours would pass and I wouldn’t get up once to stretch my legs. It felt almost as though an electric current was flowing from my mind down through my fingers, pinning me to the keyboard. I was so wrapped up in the lives of my characters, I lost all sense of time, thirst and hunger. A Shade Of Vampire and its sequel: A Shade Of Blood. A Shade Of Blood is my favorite because I made it longer and allowed myself to explore much deeper into my characters. There are definitely personality traits in most of my characters that are drawn from people I have encountered at some point in my life. I have a favorite time but not really a favorite place. To be honest, once I find my groove, I don’t notice where I am sitting as long as the chair is not slippery or spiky. I’m an unashamedly incurable Potterhead. Wow, they’re probably my biggest fans! Read! Whenever and wherever I can. But I don’t get nearly as much time to read as I’d like to any more. a) Reading is one of the best things you can do. And make sure you also read outside your genre – often this will give you a fresh perspective. b) If you can spare the time, study another language – French, German, Spanish – whatever tickles your fancy. This may sound odd to some but believe me, when you learn the structure of another language from scratch, it broadens your knowledge of grammar and adds a whole new dimension of understanding to your own native language. I think deep down I always felt I wanted to be a writer. That said, I did go through some intense phases of wanting to be an actress, a salsa dancer, a wax-crayon artist and a master chef. Harry Potter/JK Rowling (see 11. above for explanation). Pride and Prejudice/Jane Austen (*swoon* … need I say more?). The Chronicles of Narnia/C.S. Lewis (my childhood favorite). Do: write about what you know. This is an obvious one but some writers do make this mistake of jumping into genres purely because they are “popular”. Most readers can detect if a writer’s heart is not fully in it. Do: try to write daily. Even if you have another job, get into the habit of fixing a certain period every day during which you must write. Don’t: ever think a genre has been done to death IF this is a genre that comes naturally to you. For example, so many people ask me why on earth I have chosen to write about vampires. Surely they’ve been squeezed dry by now? But this question doesn’t actually make sense when you analyze it. It’s the originality of your story and the world you create that counts. Not what “species” you choose to write about. Otherwise you could argue, why write another book about human beings? Haven’t they been done to death already? 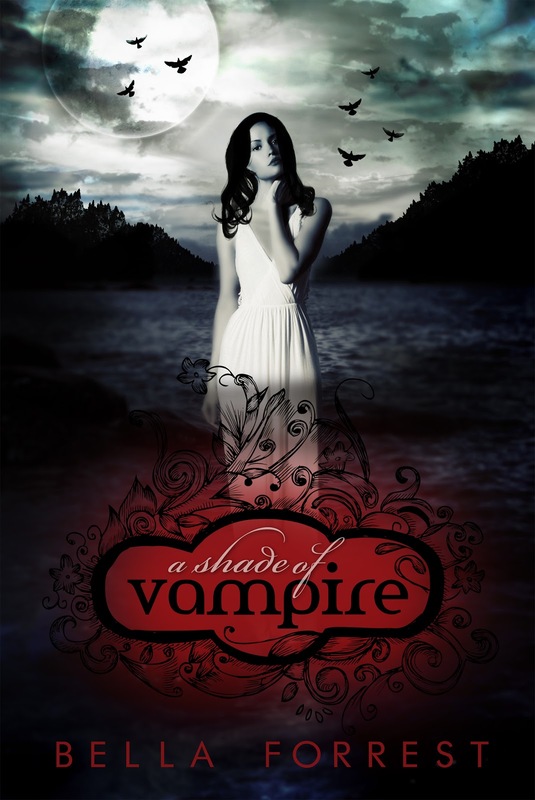 A Shade Of Vampire Book 3. I expect to release it around the beginning of May. I normally post my writing progress on my website: www.bellaforrest.net so readers can keep an eye on how many words I have left to write! Thanks so much for stopping by today, Bella. So great to have you with us. And now, Bella has shared an excerpt from her book. So read on and love! I guess my life as a writer started when I was five; I'd sit under the kitchen table with my box of multi-colored wax crayons (I miss those) and create picture books. Creative writing was always my favorite subject and I used any free time I had to sit down with a notepad. Not much has changed, except that now I have developed vampirish habits: my writing "day" typically starts at 1am. I'm an avid reader, a big fan of cookie ice cream and I'm often travelling. When working I have to disconnect the internet for fear of being endlessly distracted by websites such as www.icanhas.cheezburger.com.